A SEVERE thunderstorm warning has been issued for Gympie and surrounding regions that is likely to produce damaging winds and heavy rainfall. Regions in the warning area could be prone to large hailstones and flash flooding over the next several hours, the Bureau of Meteorology stated. 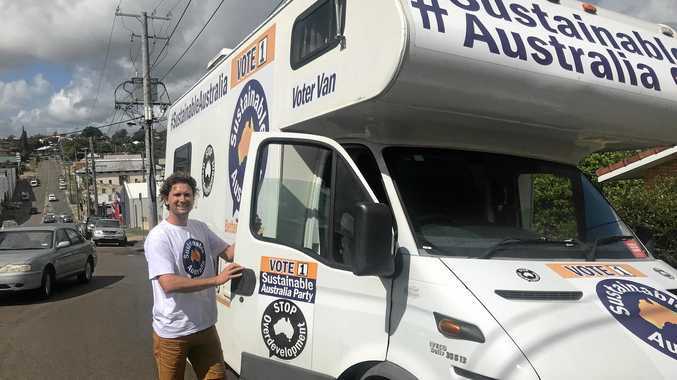 Locations which may be affected include Gold Coast, Brisbane, Maroochydore, Gympie, Ipswich, Kingaroy, Coolangatta, Caboolture, Cleveland and Jimboomba. Severe thunderstorms are no longer occurring in the Darling Downs and Granite Belt district and the warning for this district is CANCELLED. The Bureau of Meteorology warns that, at 2:40 pm, severe thunderstorms were detected on the weather radar near Strathpine, Conondale, the McPherson Range, Crohamhurst and Logan Village. These thunderstorms are moving towards the east to northeast. 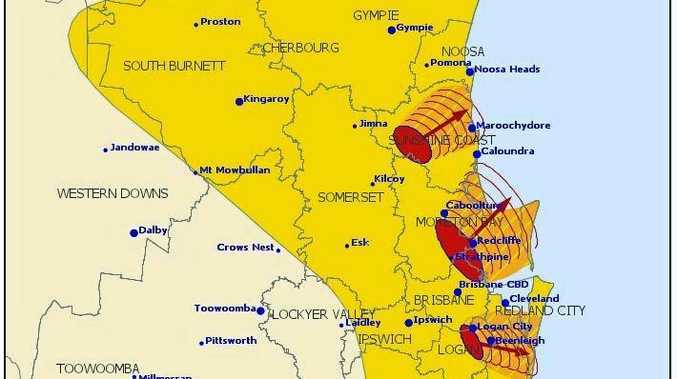 They are forecast to affect Beenleigh, Logan City, Redcliffe and Caboolture by 3:20 pm and Maroochydore, northern Bribie Island and Yandina by 3:50 pm. 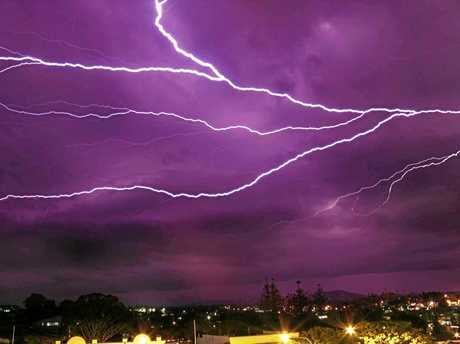 DON'T put your brollies away just yet with more thunderstorms expected for the Gympie region later tonight. 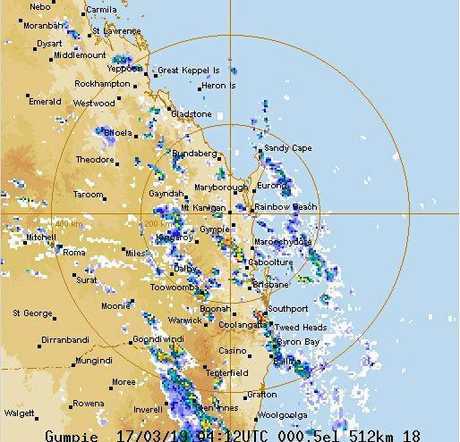 The band of storms present in Brisbane, Caboolture, Maroochydore, Bundaberg, Goondiwindi, Glen Innes and Toowoomba is due to a slow upper trough, Bureau of Metereology forecaster Nicholas Shera said. "We have a very slow moving trough which is why there's a bit of storm activity around," Mr Shera said. "There is a chance of severe thunderstorms for the Gympie region." Friday's storms stretched from Gympie down to Byron Bay and dumped up to 105mm of rain in just one hour, causing widespread commuter chaos and power outages. Storm activity is expected to continue until Tuesday afternoon. On Saturday morning it was reported that some places in the Gympie region recorded upto 60mm of rainfall. The chance of rain dips to 50 per cent for next Wednesday and Thursday.